The Benchmark Freeze Dryers are custom-built production lyophilizers made to meet pilot, clinical supply and production demands. Meeting your current application demands with an eye toward future demand is what we do best. Benchmark systems are available in a wide variety of configurations and are available in economical round or space saving square tray chambers in bulk or stoppering with shelf sizes and shelf inter distance to meet your needs. Condenser selections include internal or external condensers, plate or coil type condensers with any orientation against the tray chamber. 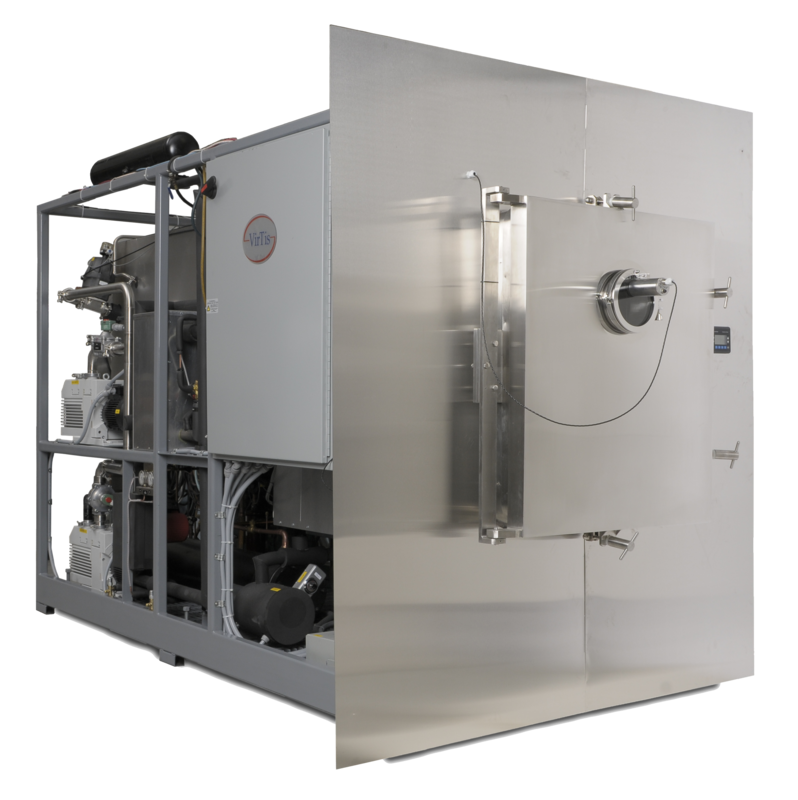 Systems can be configured with or without steam sterilization, Clean-in-place(CIP) and control packages range from 21CFR compliant to simple/straight forward control for applications where regulations do not apply. All systems can be validated to the level of compliance your application demands. Configure the system to meet your needs.